In retrospect, it's obvious now that the end of their senior year (2012) at Carthage College was a defining moment. Forever grateful to the friend who introduced them, Spencer and Kathleen are now looking forward to wedding bells in August! We have absolutely loved getting to know these two. We first met Kathleen as a bridesmaid when we shot her brother's wedding back in 2012. 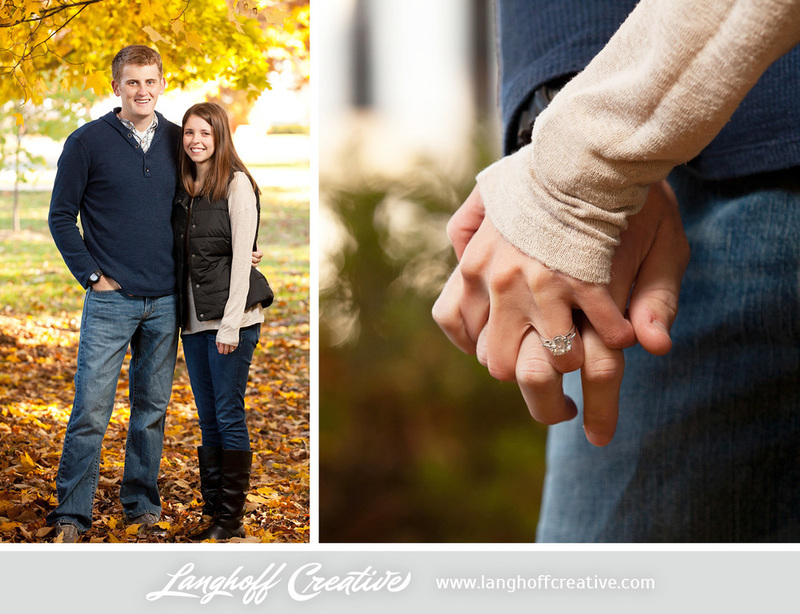 We were honored when she called us up almost immediately after she and Spencer were engaged. Their proposal story was quite a surprise to Kathleen. "Spencer was in Denver for business and was supposed to come home late that night. Instead, he got an earlier flight without telling me," she explained. "I came home from being out, and went outside to talk with my mom and dad about the day. While we were talking, Spencer walked into our backyard, which of course I was not expecting, got down on one knee and asked me to marry him, all while my mom filmed it on her phone!" 196 days to go... but who's counting? Their August 9th wedding day can't come soon enough! 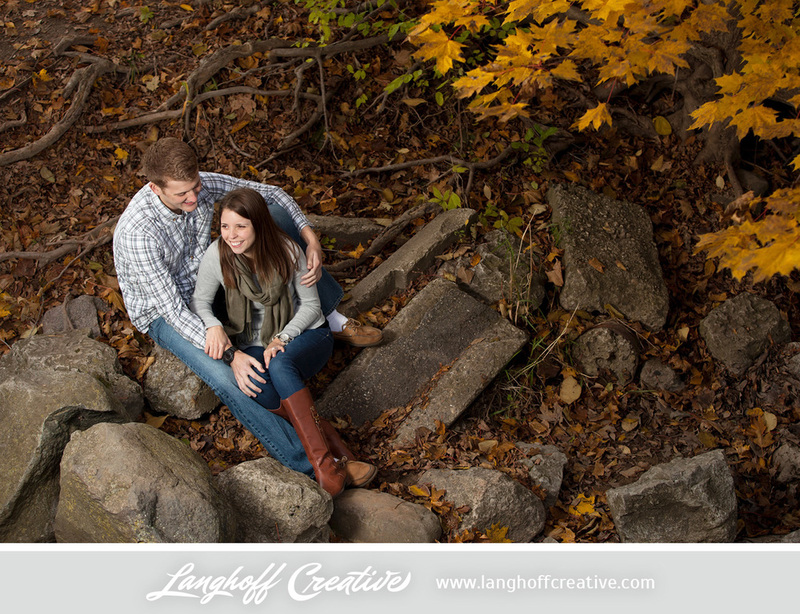 Spencer and Kathleen are looking forward to a larger wedding in Elmhurst, IL with a "rustic elegance" to it. "We are doing it ourself, but with a lot of help," Kathleen said. "It hasn't been very stressful yet, there are just too many decisions!" "It wasn't until the last month of our senior year that we actually met and started dating," said Spencer. A mutual friend of theirs at Carthage introduced them, so it was neat to head back to the campus for a few of their engagement shots. The love between Spencer and Kathleen is so evident. 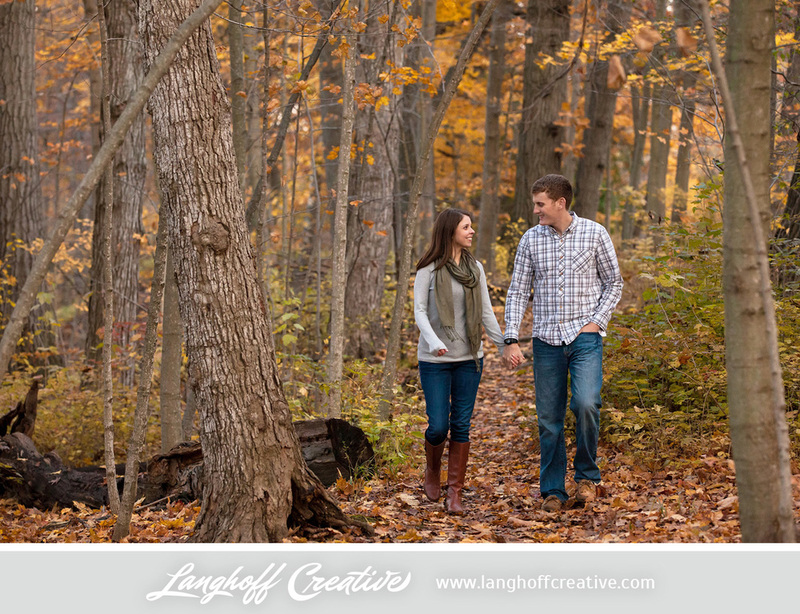 The beautiful fall backdrop at Petrifying Springs Park set the perfect romantic mood for this engagement session. After meeting, the two just hit it off! "My favorite thing about Spencer is his passion for everything that he does," Kathleen said. "He is very committed to work, family, and his friends, and puts full effort into everything that he does. He inspires me to do the same." Spencer said, "My favorite thing about Kathleen is her love for her family. It makes me excited to be starting our own together." "In our early months of dating, we went out for ice cream one night. We were sitting on a bench enjoying our ice cream, and Spencer had a hard time saying anything. I thought he was going to tell me he loved me, and then instead he told me I was his best friend," Kathleen smiled. "It was very sweet, but not what I was expecting, and something we still talk about to this day." Thinking back over these last couple years together, they both fondly remember an evening just before Christmas. "We had a date night where we went to a nice dinner, then got hot chocolate, drove around looking at Christmas lights and blasting Christmas music. It was the perfect mix of romantic and fun!" Recently, Kathleen posted an article she read online entitled, "I Got Engaged At 23 and I Have No Regrets." Not only could I relate to it (Chad and I got engaged at 23! ), but I loved her response to the article. Kathleen said, "Amen to this. What is best for me may not be for others and there's no reason to try to bring others down for being completely different from you." They may be young, but regardless of popular opinions these days about getting married for Pinterest trends, pretty dresses and peer pressure, the phrase "young and in love" couldn't be more true of Spencer and Kathleen. They count themselves lucky to have found each other as young as they did—they plan to make the most of "forever" by getting married right away! Spencer and Kathleen, we are inspired by your love and admire everything about your relationship. We can't wait to capture the special moments that will unfold at your wedding! What an honor to photograph the first chapter of your married love story. Uncle Chad and Aunt Amber!